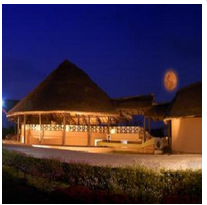 Benchmark Hotels Resorts and Palaces comprises 25 hotels in 23 locations across India. In India, Benchmark Hotels is recognized as the premier hospitality provider, spanning the length and breadth of the country, and gracing important industrial towns and cities, beautiful beaches, historical and pilgrim centres, and wildlife destinations. The Benchmark Hotels Group, founded in 2000, owns or manages 32 hotels and resorts across india.The Group is also engaged in flight catering, airport restaurants, travel and tour service & car rentals. BENCHMARKS Hotels & Resorts are synonymous the world over for providing the right blend of service, luxury and quiet efficiency. Internationally recognised for all-round excellence and unparalleled levels of service. A distinctive feature of The Group's hotels is their highly motivated and well-trained staff that provides the kind of attentive and sensitive service that is rare today. The Group's new luxury resorts have established a reputation for redefining the paradigm of luxury among leisure hotels around the world.